Who Benefits from Speech Language Pathology? You Are Here:Sheila MacDonald & Associates| / Who Benefits from Speech Language Pathology? Communication at home, work, school, or in the community. 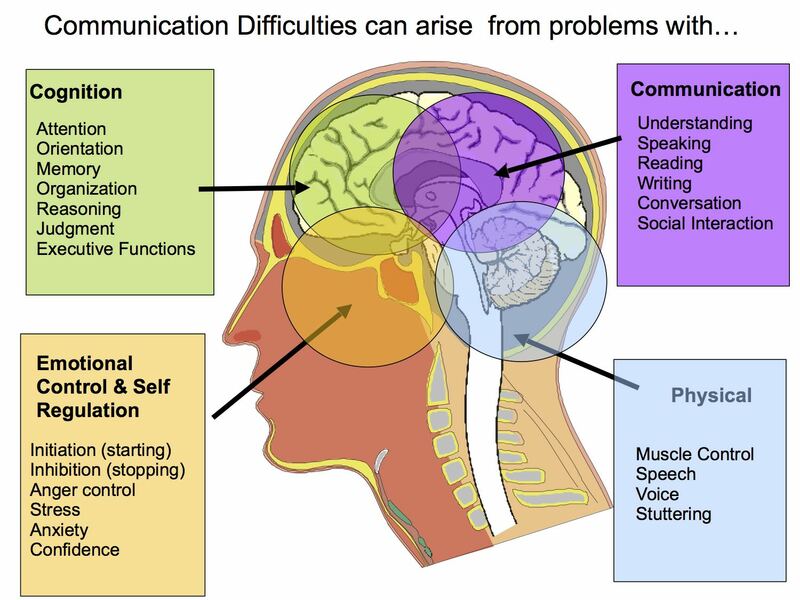 Communication difficulties can arise from multiple causes including speech muscle movement problems (dysarthria, apraxia), speech fluency problems (stuttering), cognitive or thinking problems (cognitive-communication disorders), language problems (aphasia), or self-regulation or self-control problems (social communication). Communication may also be affected by other factors such as stress or fatigue. For all types of communication disorders, a speech language pathologist can help to identify the nature of the problem and to determine helpful strategies.